We all spin up instances, but don't have the discipline to shut them down. With Neptune, you can stop all those staging and testing EC2 instances by simply specifying an AWS tag and the condition -- CPU utilization < 5% for 2hrs. It's as simple as that. If you have a predictable usage pattern for your EC2 instances, say between 8AM till 6PM everyday, you can simply specify the start and end times as cron expression and select your AWS tag to stop or start instances at those times and save costs. You can track all scaling actions by getting notified or escalated in slack or email. 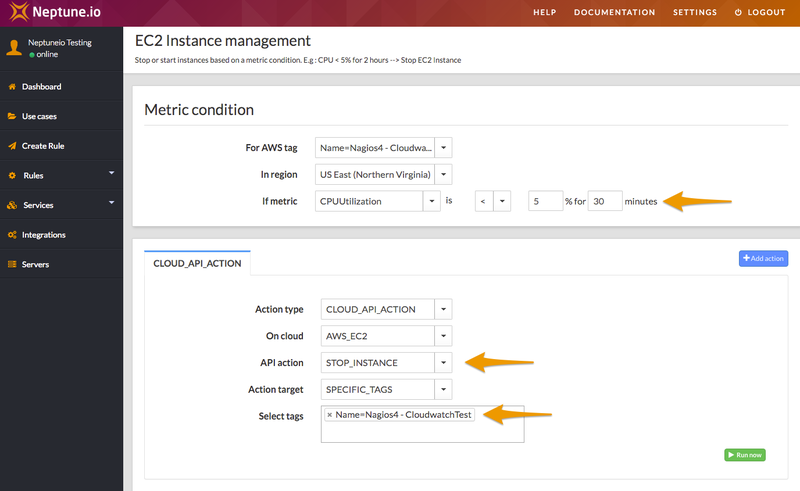 It takes less than 5min to setup rules to manage your EC2 instances and save lot of cost! Simply specify your upper and lower thresholds on your tables' consumed capacity and how much you want to scale up or down. That's it. Neptune will handle the rest. 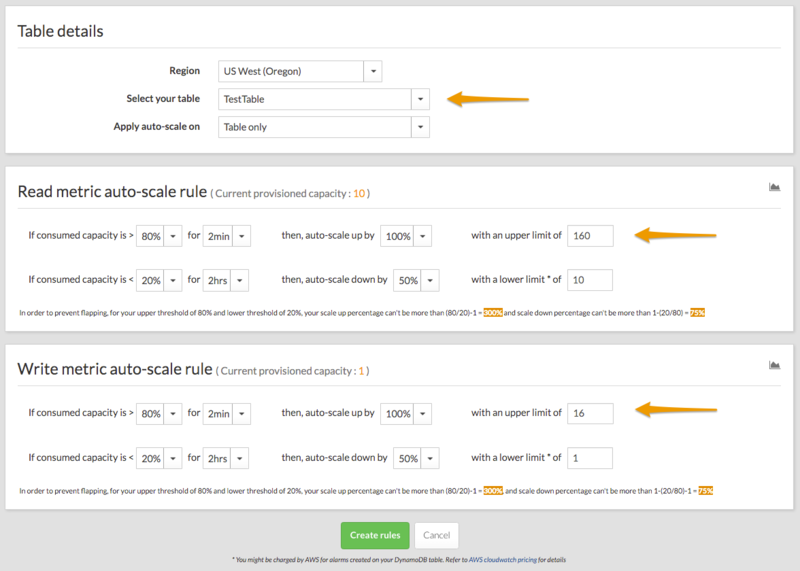 If you have a predictable traffic pattern, then simply specify the day and time when you want to scale your tables. 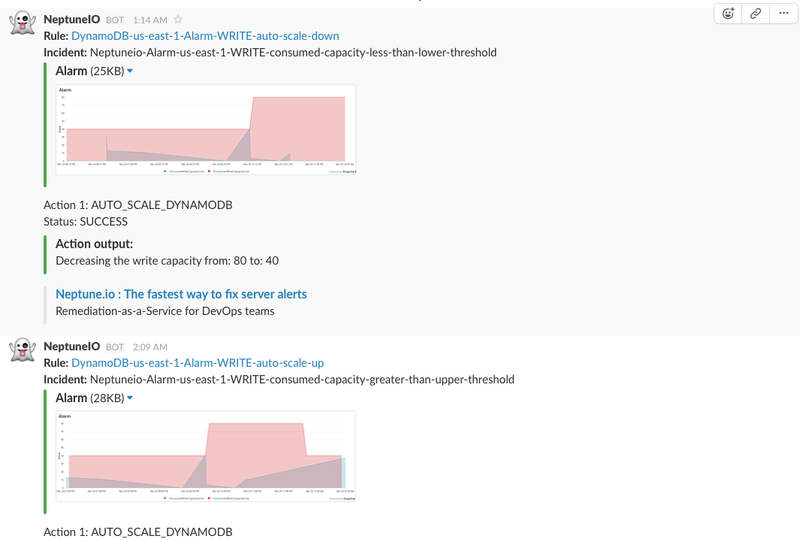 It takes less than 5min to autoscale all your DynamoDB tables! 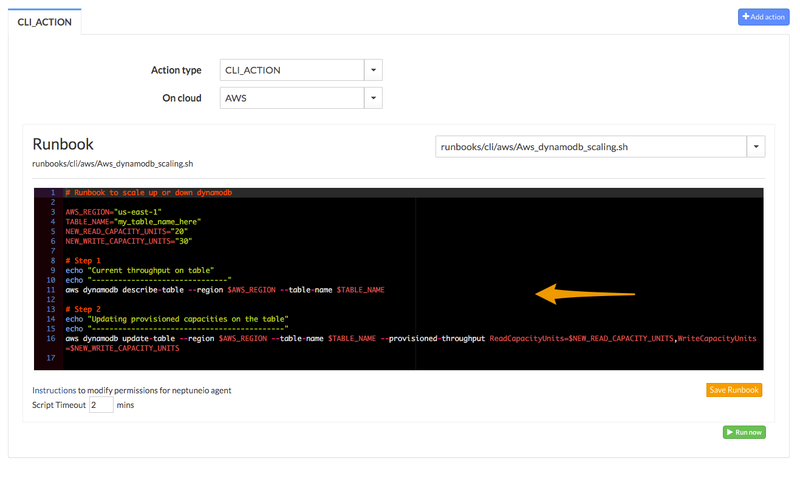 In response to an alert or an event, you can run any AWS CLI command, just as if you were running them from your own terminal. 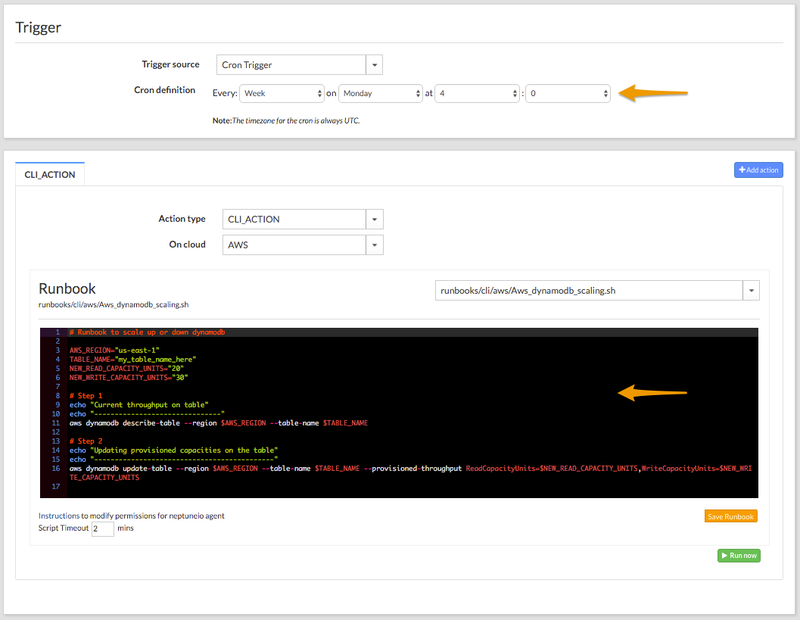 It's very powerful and you can fully manage your AWS infrastructure in an event-driven fashion.